The capital of France is the tourist destination that attracts people all year round. Millions of tourists show up along the four seasons to admire the Eiffel Tower, watch the viewpoint of Montmartre and visit the imposing cathedral of Notre Dame. But this magnificent city that crosses the Seine and is full of romantic corners, legendary museums, and great restaurants, has much more to offer than you find in the tourist guides. Wisdom.ninja wants to share with you the fascinating Parisian attractions that you may not know: those that not everyone speaks of but you can not fail to see when visiting Paris. These places beyond the idyllic town idea will show you other sides of one of the largest cities in the world. 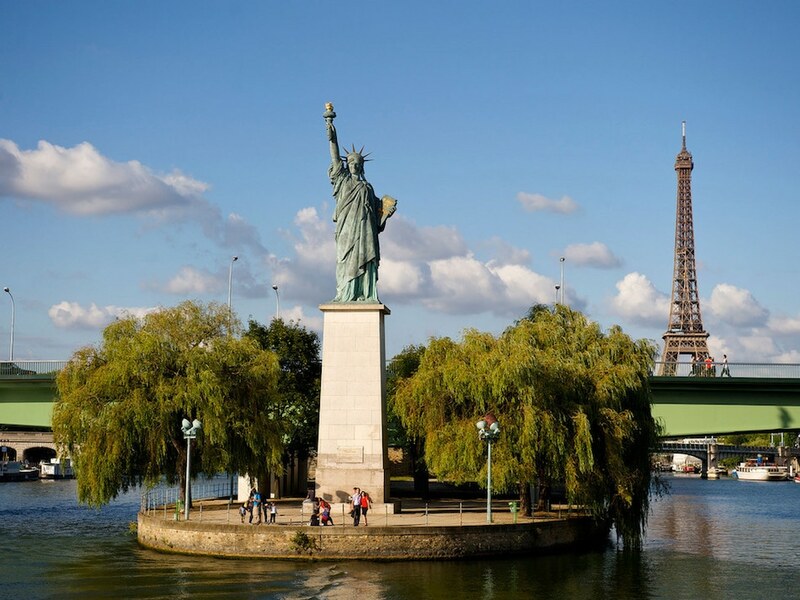 Did you know that the Statue of Liberty from New York is a gift from the French to the Americans? In the nineteenth century, a famous French jurist Edouard Laboulaye had the idea to offer the young nation of the United States a monument to commemorate their independence and seal a political pact between France and the United States. The strategy was undertaken and the French presented New York with the Statue of Liberty. However, the original model was retained, a smaller version of the monument, which today continues to be displayed in the French city. You can see it on the edge of Grenelle Island in the middle of the Seine. This small museum located in the gardens of the Tuileries is less popular than the grand Louvre or D’Orsay, but not less impressive. It has few rooms, which can be seen in just over an hour. And the sight of it strikes everyone, ripping tears from art lovers every day. This is the legacy that Monet left Paris after his death. In addition to his private collection, the artist left the oil paintings of the water lilies gardens. 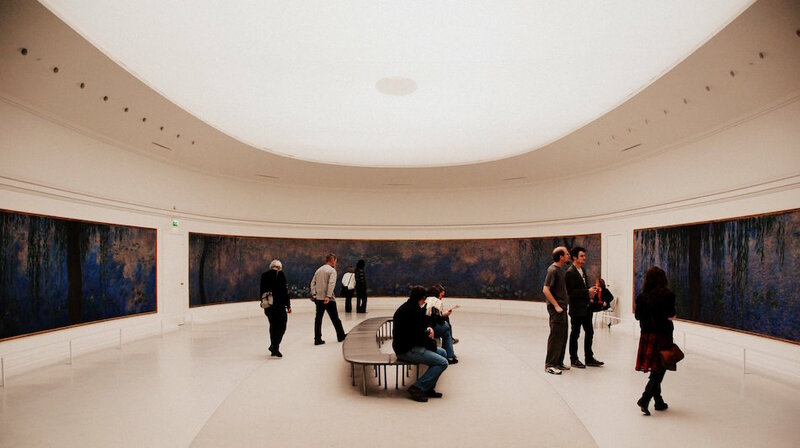 The pictorial work of the impressionist is exposed in two circular rooms. Spectators sit in the center of the room and suddenly get involved by a magic carpet painting. The colors vibrate and it seems that the water balances among the water lilies. The sense of depth and movement of the strokes in color create a surprising profound experience. When you go to Paris, think twice before making long queues to see the Mona Lisa in the Louvre. This museum will leave you awestruck and thrilled. La Défense may be viewed as the more contemporary side of Paris. 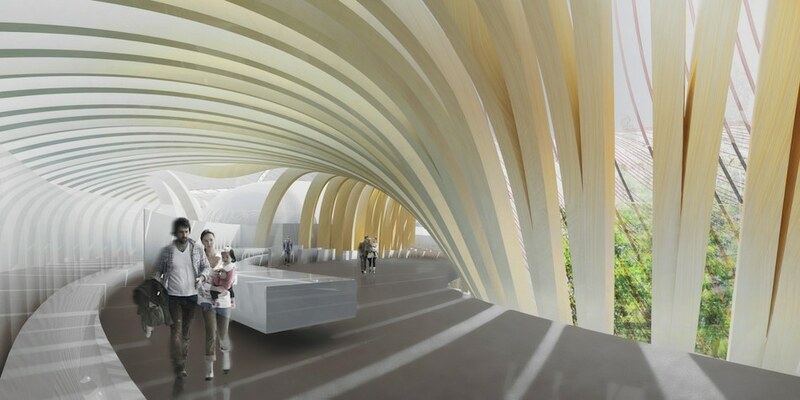 This is a business complex of modern buildings, built with cutting-edge architecture and high technology. 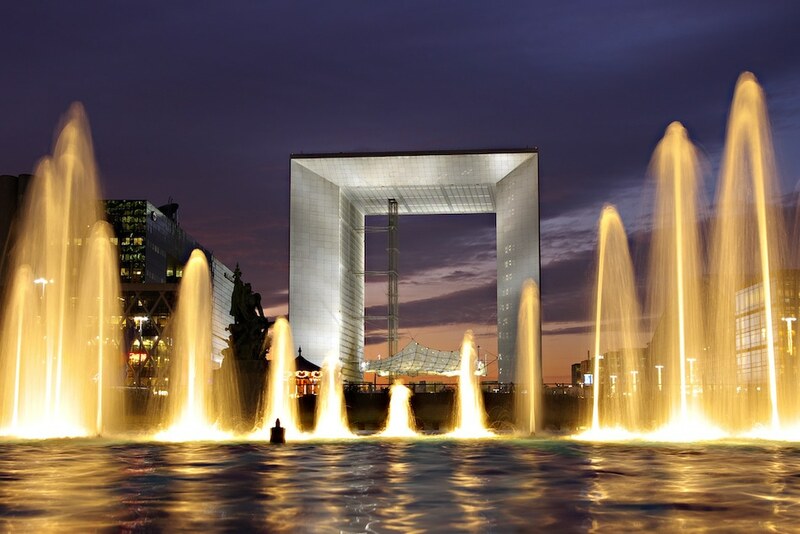 Those who believe that the city is a romantic antiquity never visited La Défense. In order to get there you can get the subway to the central square of the business campus. It is decorated with an imposing square arch that houses hundreds of offices. In addition to the office buildings, there are two shopping centers with small restaurants and some contemporary artistic monuments, designed to give character to this place. If art museums with long lines and difficult to understand abstract works are not your type, you can visit the wine museum. What better country than France to tell the story and the varieties of this mystical drink? In the heart of Paris, near the Eiffel Tower, this museum is a historic corner that preserves its ancient architecture based on semicircular arches built in stone. 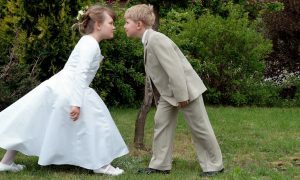 If its rooms and exposure do not fulfill your appetite, you can have lunch at its small, cozy restaurant. You couldn’t decide between a beach holiday and a visit to the ‘City of Light?’ Well, you can have them both. 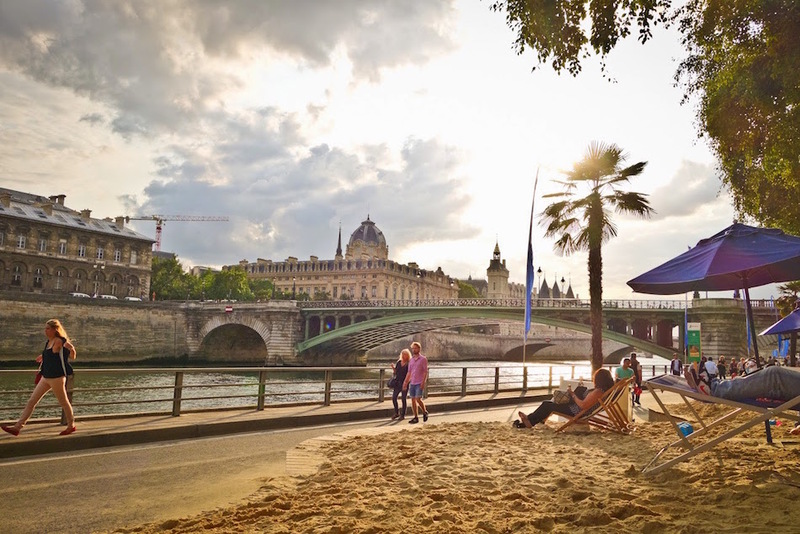 During the summer, the banks of the Seine are transformed into public beaches, to both tourists and local advantage. You can give yourself a day of rest and sunbathe in a bikini while watching in the distance the Eiffel Tower. Okay, it’s not the Caribbean or the Brazilian seaside, but it gives to get some sun and enjoy the beach. This mysterious legacy of the city remains hidden in full underpasses of dark corners and eerie echoes. 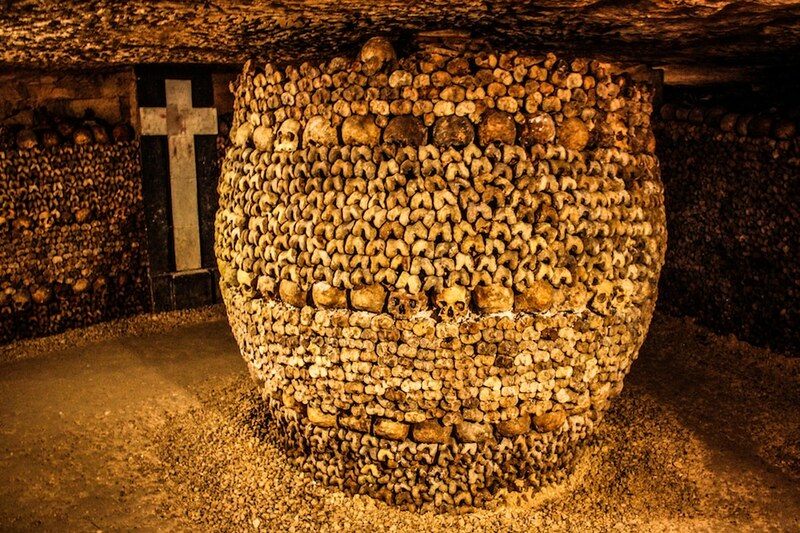 If you want to know the dark side of Paris, visit its catacombs: a place hidden from sight populated by the skeletons of ancient Paris. This “city of the dead” was built in the eighteenth century to solve the lack of cemeteries in the French capital.